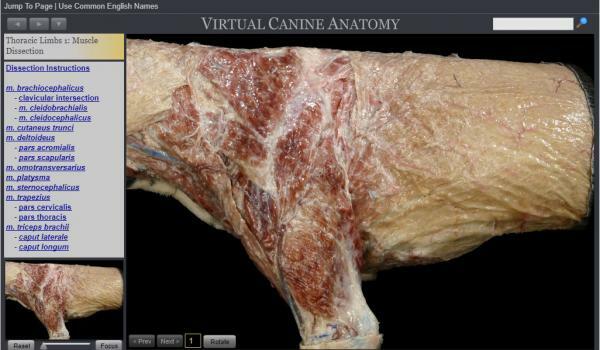 Virtual Canine Anatomy is an innovative anatomy program that has received outstanding accolades from members of the American Association of Veterinary Anatomists, students, and instructors both in the United States and internationally. Virtual Canine Anatomy enhances the students’ dissection experience and helps them learn anatomy efficiently. The program allows the luxury of self-paced, individualized learning and provides a focal point around which the instructor and student can exchange ideas and make interpretations of course content.